Through implementing the Meetings module from BoardPacks, the Mineworkers’ Pension Scheme and British Coal Staff Superannuation Schemes have improved their standards of pensions governance. In the mid-1990s, the Mineworkers’ Pension Scheme and the British Coal Staff Superannuation Scheme were closed to new members and new contributions on privatisation of the coal industry. 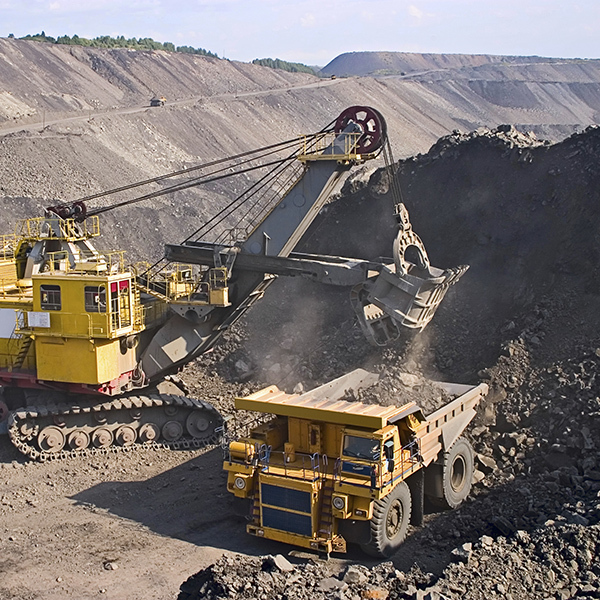 The Secretary of State for Trade and Industry became the schemes’ guarantor, replacing the British Coal Corporation, and the schemes were to operate as standalone funds, with Coal Pension Trustees Services (CPT) as its executive arm. With nearly £25 billion of assets and over 400,000 members, together the schemes constitute one of the largest funded pension arrangements in the UK. In May 2005, The Pensions Regulator issued codes of practice to improve pensions governance within schemes. The Coal schemes already had procedures and systems in place to organise their business well, but were committed to continual improvement. “Some of the codes of practice codified good business principles that we have always applied, some have been very useful as a checklist, some of them have been new, but the impact they’ve had has probably been less than would be the case with smaller schemes,” said Mike Furbank, benefits manager. The most influential code of practice was on trustee knowledge and understanding. Trustees needed tools to help them manage knowledge better to comply with the code. It also pushed the schemes towards reviewing their business practices. Besides the guidance on governance, both Coal schemes had other reasons to review their operations. Heavy reliance on paper documents, coupled with inefficient ways of distributing these papers and then storing them did not make the best use of trustees or staff time. Trustees, advisers, and other parties are spread throughout the UK and overseas, making knowledge sharing a complicated task. Monitoring who had specific information, where the latest version of a document was located, and deciphering which information was required for meetings proved time-consuming. It became apparent that although the schemes’ secretariat continued to operate satisfactorily on a basis hardly changed since privatisation, improvements to governance could be made. Through positive initial meetings with eShare, relationships were formed and in September 2005, CPT chose the eShare platform BoardPacks to improve the governance framework for both pension schemes. The governance software was always intended to operate alongside other business practices, so it was important to be able to retain control over the functionality of the software, and the design. BoardPacks provided this flexibility. With two pension schemes and many subcommittees for each scheme, the Meetings module within BoardPacks has delivered a major improvement to helping trustees organise meeting information. Each meeting has its own workspace containing an electronic agenda, a set of papers, links to knowledge and data in BoardPacks and a list of attendees. Compiling this information is simpler than traditional techniques because several people can collaborate around the draft meeting workspace. Once a meeting has been populated, the secretariat simply reviews the information and, at the touch of a button, publishes the meeting. Trustees are alerted to the new meeting and are automatically alerted to changes to that meeting – until they choose otherwise. The benefits of Meetings are numerous. “Trustees and others have one centrally maintained database of papers. Non-attendees can access the papers if appropriate so in future we won’t have to distribute lots of unnecessary paper packs,” says Mike. Users can collaborate to produce documentation and minutes more effectively than the notorious email trails that can become very difficult to follow. Every meeting leaves behind a full, clear audit trail and new and existing trustees can easily refer back to past meetings. If appropriate, non-committee members can easily see exactly what committees are doing, increasing transparency. “For us, one of the most beneficial aspects of Meetings is the ability to get papers out earlier, without being delayed in the post, and sometimes before all the ‘i’s’ are dotted and the ‘t’s’ crossed. With Meetings we can get all important material out to all trustees earlier because it doesn’t have to be 100% finalised; changes can be made after distribution. The trustees then have sufficient time to read and prepare for meetings,” said Mike. With BoardPacks trustees receive centrally maintained meeting papers; all parties are able to collaborate to produce meeting information; there’s an easily accessible, secure, searchable knowledge base for staff, trustees and principal advisers; all pension scheme knowledge is secure and backed up with no dependence on any individual or adviser; and there is a reduced emphasis on paper.